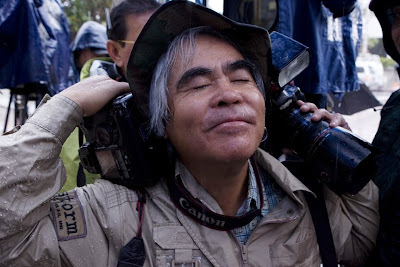 World famous AP photographer, Nick Ut, loves the rain. While waiting outside the US Federal Courthouse in the rain for the verdict in the Myspace suicide case to come in, Nick was the only media person to smile and embrace the heavy rain fall. He was truly happy about it.